I know there are many petitions, and what will one more do? Each petition is slightly different, and reaches a different audience as change.org, Care2 and Avaaz have their own ‘networks’; also each petition will be printed out and the number of signatures attached and submitted to the BiH Parliament. The more the better. ALSO: please continue to write to EU MEPs, your country’s embassy in Bosnia-Herzegovina, and the EU Intergroup. If you have written before and received no answer, PLEASE WRITE AGAIN. YOU CAN USE ALL OR PARTS OF THE NEW PETITION LETTER ON AVAAZ, SEE BELOW. PLEASE BE SURE TO SIGN THE LETTER WITH YOUR NAME AND ADDRESS, AND IDEALLY TO SEND IT INDIVIDUALLY RATHER THAN TO BLOCK EMAIL ADDRESSES. For some time in Bosnia and Herzegovina mass hysteria about stray animals has been systematically created by continuous political and media propaganda that aims to get public attention and direct citizens away from more pressing problems: unemployment, the failing economy, organised crime, corruption, failure of institutions to implement laws, the crime rate, which is continuously increasing. 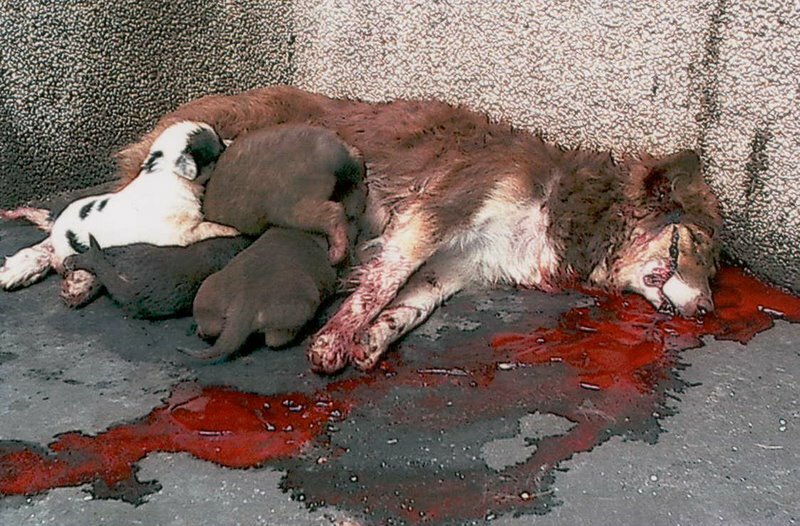 Instead public attention is directed to those who cannot defend themselves, who are not guilty because they are abandoned and who are themselves victims of a dysfunctional and corrupt system in Bosnia and Herzegovina: the stray animal populations. The burgeoning stray animal population, that has been caused by people is being publicised as an “animal problem”. For months certain political parties and media spread hatred against stray dogs in particular, and intentionally are causing fear and hatred. Authorities in Bosnia and Herzegovina have almost no interest in a humane reduction of stray animals. 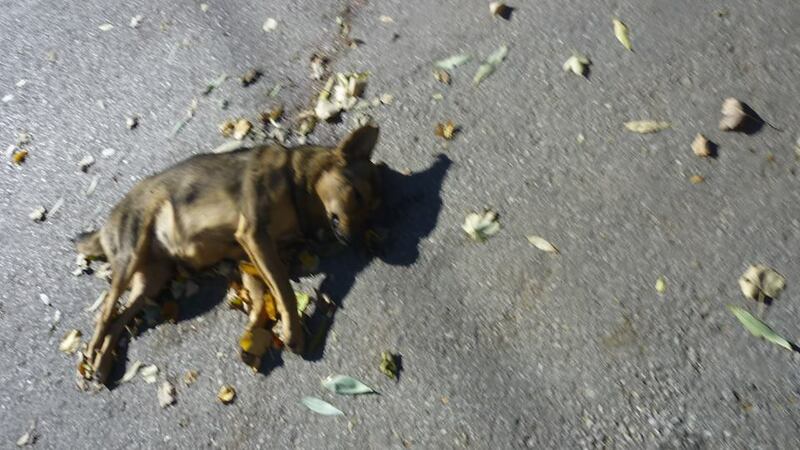 The large number of stray animals on the streets of Bosnia and Herzegovina is a direct consequence of a failure to implement the existing Animal Protection and Welfare Act. It is a fact that an increasing number of stray dogs on the streets is always a direct consequence of the failure to implement preventative measures which are provided by this Animal Protection and Welfare Act. 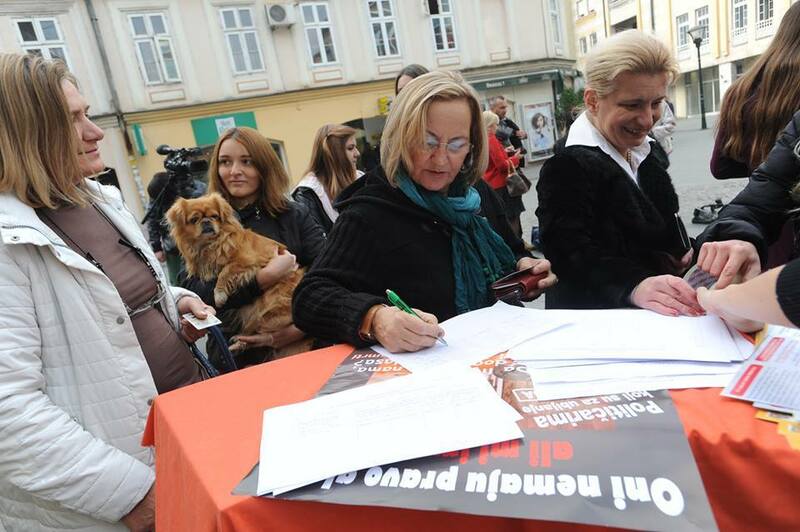 And instead of making provisions to implement the law, a proposal for changes and amendments to the Animal Protection and Welfare Law has been made by Nermina Zaimović – Uzunović, a member of the House of Representatives of the Parliamentary Assembly and a member of the Social Democratic Party, amendments which contain primitive and inhumane provisions for the euthanasia of healthy stray animals that are fostered in shelters if they are not adopted in 14 days. 1) Euthanasia deals only with symptoms but not the causes of stray animal population problems. It will not lead to population management and must not be relied upon as a sole response to such problems. The focus of euthanasia of healthy stray dogs is on the consequence, not the cause of the problem. If causes that lead to the abandonment of animals are not resolved, the problem will continue. if those who are responsible for the implementation of the Animal Protection Act of Bosnia and Herzegovina, as well as the media and political parties are only focused on consequences and not on the causes, the problem of stray animals will not be solved by any method. 2) Euthanasia as a way to manage the population of abandoned animals is five times more expensive than the implementation of TNR / CNR methods (catch – spay/neuter – release) and the construction of shelters for stray animals–which should function as centres for the adoption of stray animals. Does this mean there is money for killing stray animals, but there is no money to implement the existing Animal Protection and Welfare Law? The proposed amendments do not lay out a financing plan nor do they offer money-saving solutions. The costs of euthanasia are 30% higher than those of neutering/spaying. 3) Nowhere in the world has euthanasia solved the problem of stray dogs for any period of time. 4) In Bosnia and Herzegovina, as well as in other parts of the world, there is no system that would efficiently and without consequences to the environment solve the problem of vast amounts of biological waste resulting from mass euthanasia. The proposed amendments to the BiH Animal Welfare Act do not include any mechanism that would allow the country to remove corpses of dead animals in large numbers, no provision for financing such a project. In practice what does the implementation of these the proposed amendments to the BiH Animal Welfare Law mean? This proposal aims to provide a carte blanche for the mass killing of stray animals, and to conveniently put aside four years of inaction regarding the implementation of the existing Animal Protection and Welfare Law. 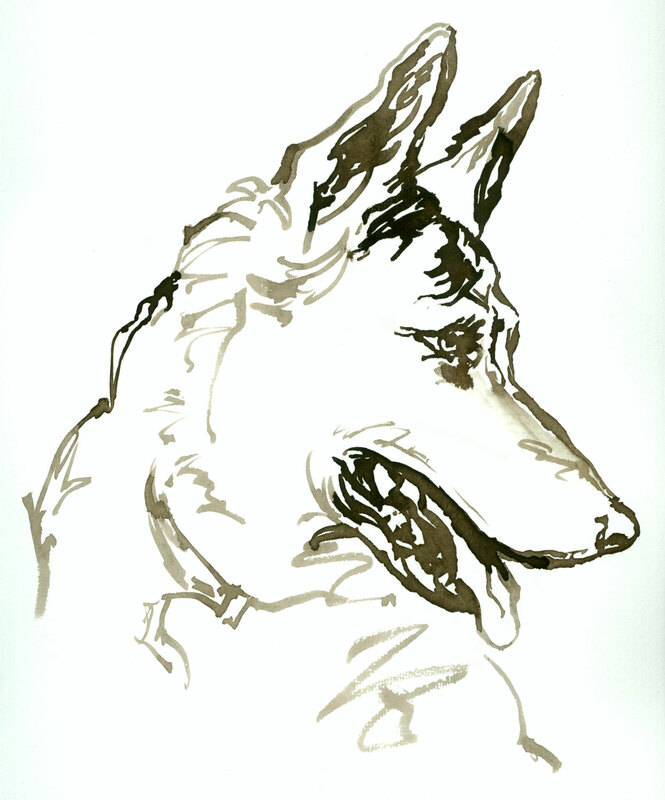 The existing law includes provisions for identification and registration of ownership of dogs. Irresponsible owners abandoning dogs and owners refusing to sterilise their free-roaming dogs are some of the main causes of the stray dog population problem. The proposer of the new amendments does not mention these issues, nor offers a plan for improvement of implementation of the existing provisions. This means the problem will keep occurring: the cause is being ignored and only the result is being addressed. Also, this proposal removes responsibility for the above mentioned inaction from the lower levels of government, the veterinary profession, inspections and police, a responsibility and its implementation which is clearly and precisely provided by the existing Animal Protection and Welfare Law. It was clear even to the minister who proposed the disputed new provisions and her political party that implementation of the provisions of the euthanasia of healthy stray animals is technically and financially impossible. Humane euthanasia practises are costly — this requires trained professionals and expensive drugs. Dogs in shelters are known to be ‘euthanised’ inhumanely in a number of ways including clubbing. Images from other state shelters show starving dogs and dog corpses left amongst living dogs. The new amendments are intended to mask the massacres of stray animals that will occur. The proposed amendments clearly reveal considerable inconsistencies. For example, keeping the obligation to invest in mass neutering, but also dictating obligatory allocation of funds to euthanise these very same dogs. The existing Animal Protection and Welfare Law is an absolutely enforceable and functional law and it is not enforced because of political interests. After four years from adoption and entry into force of the Animal Protection and Welfare Law, there are continued obstructions to its implementation. Also, enormous funds have been laundered through the so-called shelters for stray animals, whose owners, directors, managers, are people close to the local municipal authorities. The building of shelters for stray animals is, in fact, supposed to be completed in all cities by May, 2010. They are not completed. The proposed new amendments for euthanasia of healthy stray animals will provide income to complete work that should have been done over 3 years ago: dogs will be inhumanely killed in order to allow for this redirection of the use of the money to build shelters. Moreover new shelters will certainly continue to be completely inadequate for the health and well-being of dogs kept there, as has been documented regarding existing shelters all over the country, both new and old. Furthermore, the European Union provides the government of Bosnia and Herzegovina with many millions of euros worth of financial aid each year. The allocation for 2012 was around €107.8m. Our understanding of the provisos attached to these aid packages is that there is a requirement for the recipient country to abide by EU laws which would include the laws related to animal welfare. If EU funding is being abused, why should tax payers money be promoting a regime which has no intention of upholding our standards of animal welfare and who seek to become members of the EU in the near future? What is going on here, with millions of Euros going to waste and animal suffering combined? In the 2nd reading and voting on the proposed amendments to the of Animal Protection and Welfare Law which was held on 20th November, 19 representatives in House of representatives of Bosnia and Herzegovina were against the new amendments, 22 of them were for, but there was not an entity majority from Republic of Srpska so the law was not changed. Since there was not entity majority, new voting will be on 5th December, 2013. 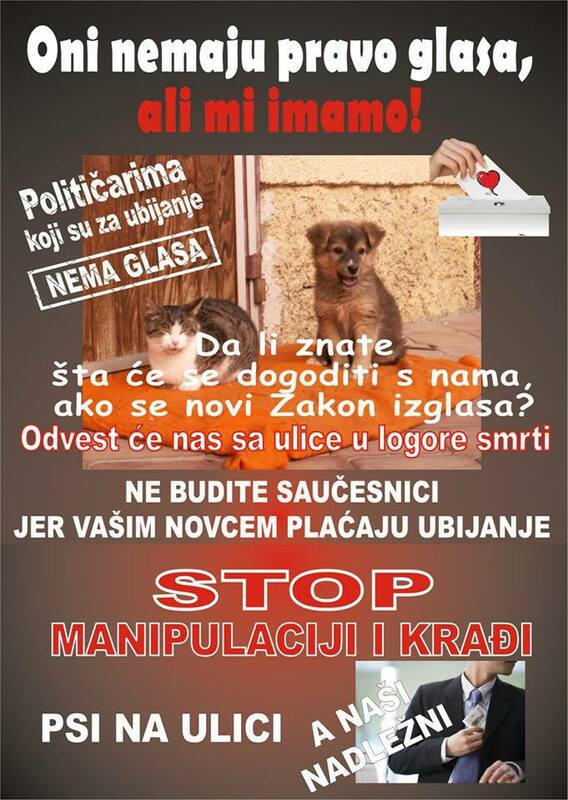 If the BiH Parliament votes for proposed amendments, there will be significantly negative consequences for the strays of the country, providing easy routes to continued inhumane ‘euthanasia’ of healthy strays (even those who have already been through spay-neuter programs!) and continued misuse of funds intended for the benefit of the strays. Can you raise these issues to your counterparts in Bosnia-Herzegovina, and in EU Parliament, and comment as to how this situation appears to be on going and unaddressed? Immediate international pressure on representatives of the BiH Parliament who are for “the kill law“ is extremely important in order to influence them to change their attitude towards the proposed amendments, and to seek, rather, to implement all provisos of what is a very good Animal Welfare Act. Finland Embassy for BiH is situated in Ljubljana, Slovenia. Bad news. The Legal – Constitutional Committee of the House of Representatives has refused to adopt any amendments that would mitigate the amendments the SDP party has advocated: amendments that will result in mass killing of strays. Two votes were for these mitigating amendments, three against and there were two abstentions. We do not know who abstained. The next step is a second reading on the 20th of November and then voting in the following B&H Parliament session – probably 15 days after the second reading, we don’t know. Bosnia-Herzegovina is one step closer to what is happening in Romania. Please do not give up. Please continue to send letters as requested in the other posts (see the list of related posts below, but particularly this one for the latest request for letters). If you know a journalist, please contact them to see if they might do a story on what is happening. Below is a list of email addresses of international media, and you can send an email to them but it’s unlikely they will do a story without a direct connection with someone. But we can but try. There are draft letters to use in the other posts. I have been asked by the lead activists in Bosnia-Herzegovina to request that the following letters be written and sent by Friday the 15th of November or earlier (the Constitutional-Legal Committee of the House of Representatives in BiH will initiate debate on the proposed law and submit any amendments on the 14th November). Letters need to be sent from UK, EU and USA to your UK/USA Embassies in Sarajevo requesting action from their side in persuading the BiH Parliament not to vote in the new amendments to the Animal Welfare Act. We need to have as many letters as possible sent to the embassies by Friday. I know some of you have already done this, but please, do it again. Below is one draft letter. Please sign it, and please personalise it if you can, or use parts of it to create your own. It would be much better if they receive different letters rather than the same ones! Some email addresses of Embassies are below the letter. 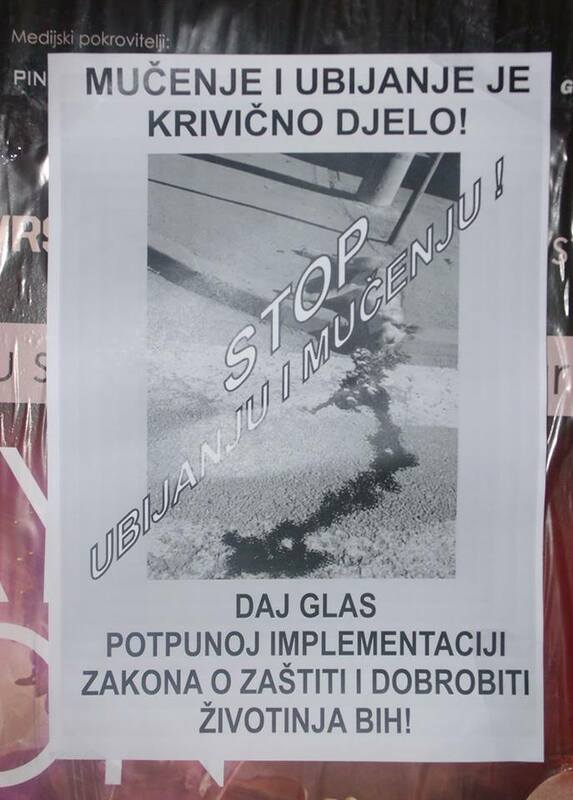 As I’m sure you are aware, Bosnia Herzegovina is planning amendments to their Animal Welfare Act, amendments which will have dire consequences for stray dogs and cats. The proposal for these changes has already been legislated in the first reading in House of Representatives of the BiH Parliamentary Assembly. 18 representatives were for changes of the Law, and 12 representatives were against changes of the Law. 11 representatives were not present at the session of House of Representatives. The Legal – Constitutional Committee of the House of Representatives in Bosnia Herzegovina shall initiate debate on the proposed law and submit amendments on the 14th November. The second reading of the proposed changes is scheduled for 20th November, so time is short. If proposed changes become effective, euthanasia would be performed within 15 days from a stray dog’s arrival in a shelter. While this may sound like an effective way to deal with a burgeoning stray animal population, typically in BiH, ‘euthanasia’ is performed by clubbing, injections of bleach, and other similarly torturous methods. Of course, there are more humane, internationally acceptable and proven methods to control the stray dog population, in particular Trap-Neuter-Return. 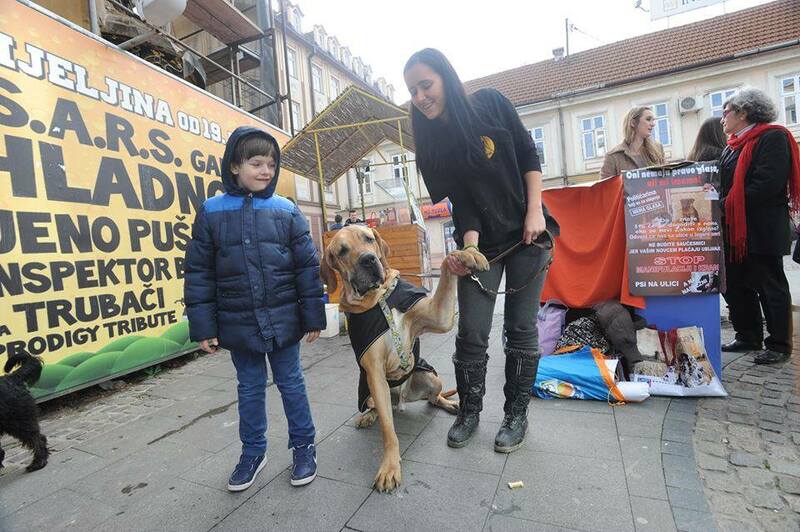 International animal welfare groups have been assisting in Bosnia Herzegovina as well as in other countries in the region, to control the street dog population, and there are many examples of success. For example Dogs Trust completed a sterilisation program in June 2013, sterilizing 3000 dogs. If the new amendments to the Animal Welfare Act are implemented, it’s highly likely these 3000 dogs will be taken to shelters and ‘euthanised’. Also, please note that funds poured into government shelters are commonly misused, with none of the funds actually going to the care of the dogs. In addition, the current Animal Protection and Welfare Act states that every city and town has to build shelters for stray animals. All shelters for stray animals have to provide a NO KILL policy and adequate care, including veterinary care for the animals housed there. Again, the truth is that the conditions in most public shelters are horrific, with dogs being left for days without water, food or care of any kind. There is documented evidence of this. What is crucial to relate to the BiH authorities regarding the proposed amendments to the law is that “Catch & kill” or “catch & incarcerate” policies have failed in numerous other countries. Cities that have successfully managed and curbed their stray animal population were those that opted for a “catch & return” policy. Studies on management of stray dog and cat population are unanimous in that euthanisation is NOT the most effective way to control populations. Euthanasia deals only with the symptoms and not the cause of the problem. It is expensive, inhumane and will not provide a permanent solution. Studies have shown that TNR (Trap-Neuter-Return) and CNR (Catch-Neuter-Return) programmes are far more effective (and far more humane) than euthanasia to reduce the street animal population. A change to the law will also mean extraordinary wastage of funds and time involved in previous spay-neuter programs of strays, most notably that of the UK Dogs Trust program mentioned above. It’s important also to note that deliberate animal abuse is rife in Bosnia Herzegovina, and many international animal welfare organizations (Animal Kind International, for example) cite Bosnia Herzegovina as the country with the most instances of horrific animal cruelty and suffering. There is the famous case in Ilidža in central Bosnia and Herzegovina, where two men put a rocket explosive firework into a young German Shepherd’s mouth and duct-taped his jaws shut, setting the rocket alight. The firework caused horrific injuries to the dog’s face, but did not kill him. He wandered about for five days before being finally rescued by animal welfare volunteers The dog had to be euthanized. Nearly 200,000 people signed these petitions asking the Bosnian and Herzegovinian authorities to bring the perpetrators to justice, but nothing was done. There has been a recent, similar atrocity, involving a young puppy. There is clear evidence now that people who take pleasure in harming animals are also a potential danger to other people, especially children. Any change to the Animal Protection and Welfare Act allowing ‘euthanisation’ of healthy dogs in shelters will certainly send a message to the populace that killing of dogs and cats is acceptable in all circumstances. Millions of citizens care deeply about animal welfare and are sickened to see constant reports of horrific animal cruelty. European citizens look to the EU to help improve animal welfare across Europe. Countries seeking to acquire EU membership need to demonstrate certain standards of animal care. Bosnia and Herzegovina are seeking admission, as you know. The issue of the proposed changes to the law must be addressed in the coming days. I would urge you please to raise the above issues with your representatives in Bosnia-Herzegovina and in particular we urge you to help ensure that the Bosnia Herzegovina authorities implement internationally agreed-upon guiding principles on humane stray dog population control, and that resources be allocated to ensure such principles are followed: briefly, that the existing Animal Welfare Act be implemented rather than chipped away at, allowing for continued animal abuse. Embassy of Finland is situated in Ljubljana, Slovenia. As stated in other posts, the activists need our support with donations to help them in the next days to campaign. Even if the law goes through, there is much they can do: all shelters need to be closely monitored to try to ensure that any ‘euthanisation’ is humane and that all other aspects of the Animal Welfare Law are implemented. Any amount will help, no matter how small. The documentary ‘KINOFIL‘ was made by Damir Janeček in 2010. 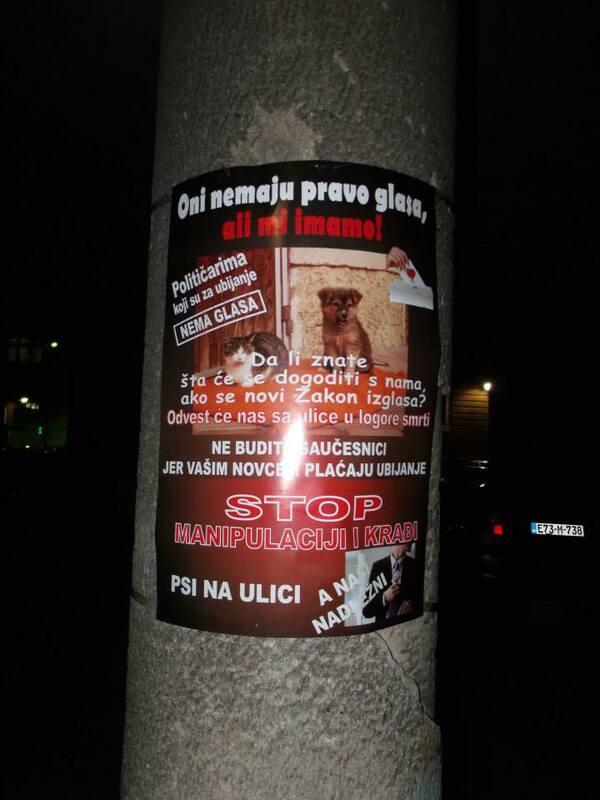 It has been banned in Bosnia-Herzegovina as it shows the truth of what has been happening for strays. 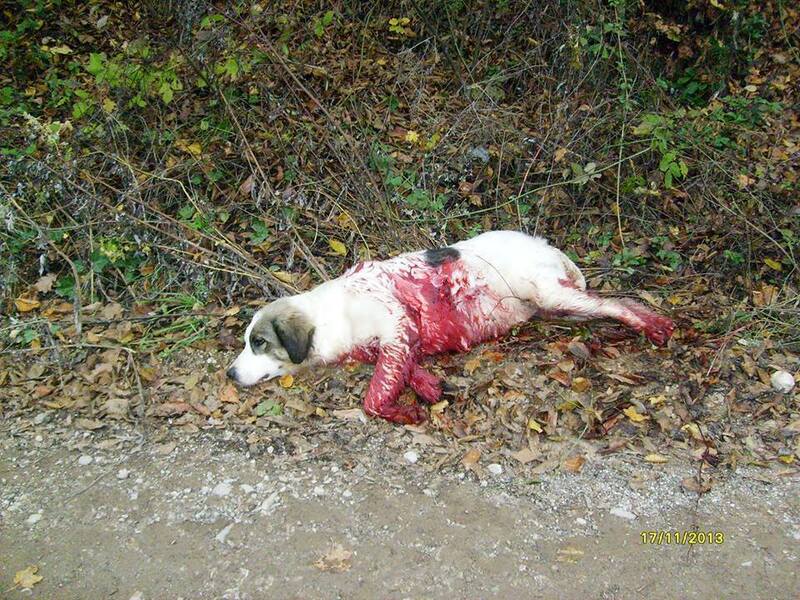 If the proposed amendments to the Animal Welfare Act are voted in, what you see in the film below is how it will be once again in Bosnia-Herzegovina, essentially legalising the torture and massacre of dogs. Please watch the film — in particular you will understand better the horrendous situation for animal activists in Bosnia-Herzegovina. Yes there are very difficult images to watch, but even if you close your eyes for these, there is much else that is important to see and understand, for example the situation with vets in the country and why some rescues die because they are not given adequate or soon-enough treatment. The documentary largely follows the activities of animal activist Velja Ivanišević and his animal welfare organisation, SOS, the Association of Citizens for Prevention of Cruelty Against Animals. 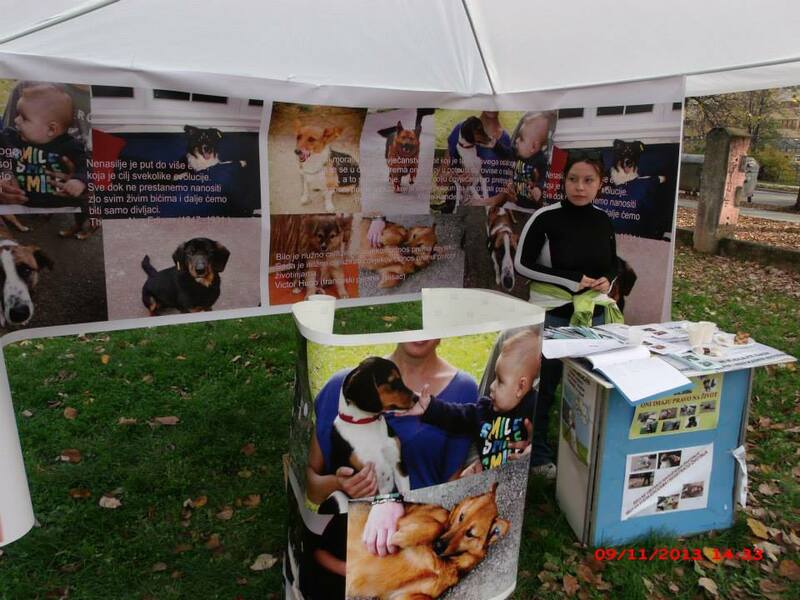 SOS was the first animal welfare organization in BiH, founded 1998 by Mr. Ivanišević and his wife Silva. The activities of SOS are now minimized since its founders left Sarajevo 2 years ago because of pressure from BiH officials and death treats by some citizens, specially after Kinofil was filmed. 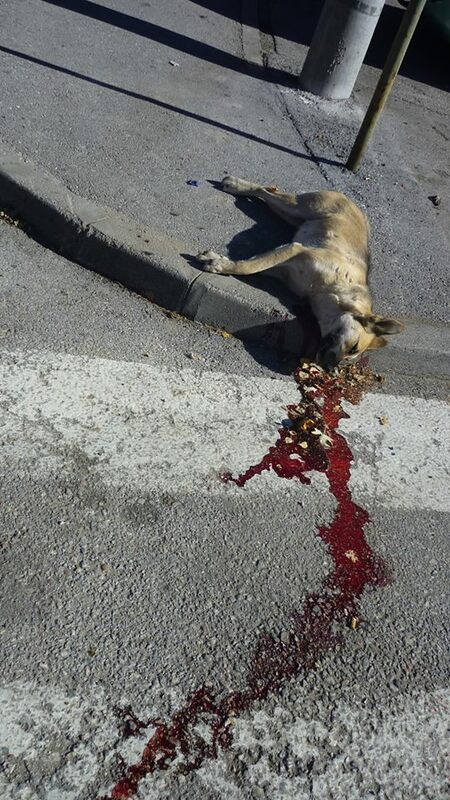 Please note that the killing of stray dogs and cats has always been a criminal offence in Bosnia and Herzegovina. Such actions represented a violation of the Criminal Act, and yet no one has ever been charged. 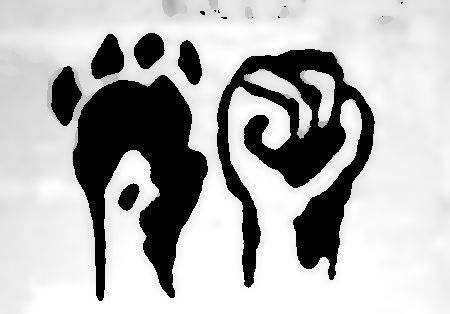 Information on how to help the activists is in ACTION TO TAKE and also, please click on the the links below to ‘related posts’, there are detailed instructions and draft letters to send. Essentially we are asking you to write letters to the BiH authorities, to EU MEPs, to the EU Eurogroup and to Bosnia-Herzegovina Embassies to demand that the Animal Welfare Act be implemented, rather than chipping away at it by allowing amendments that encourage atrocities strays have had to suffer for years. Please take 30 minutes out of your day to help the strays of Bosnia-Herzegovina. TIME IS RUNNING OUT. Further amendments to the law can be proposed by 7th November and the second reading of the proposed changes is scheduled for 20th November. If proposed changes to the Animal Welfare Act become effective, euthanasia would be allowed to be performed within 15 days from a stray dog’s arrival in a shelter. While this may sound like an effective way to deal with a burgeoning stray animal population, typically in BiH ‘euthanasia’ is performed by clubbing, injections of bleach, and other similarly torturous methods. Of course, there are more humane, internationally acceptable and proven methods to control the stray dog population, in particular Trap-Neuter-Return. Dogs Trust completed a sterilisation program in June 2013, sterilizing 3000 dogs. Also there have been government funded sterilisations programs implemented in BiH. If the new amendments to the Animal Welfare Act are implemented, it’s highly likely these dogs will be taken to ‘shelters’ and ‘euthanised’, a complete waste of money. Also, please note that funds poured into government shelters are commonly misused, with none of the funds actually going to the care of the dogs. Right now Praca Shelter in Sarajevo is undergoing investigation regarding how funds – BAM 1,000,000.00 (€500,000 or $ 700,000) – were used (recent visits to this shelter once again show absolutely horrific conditions). 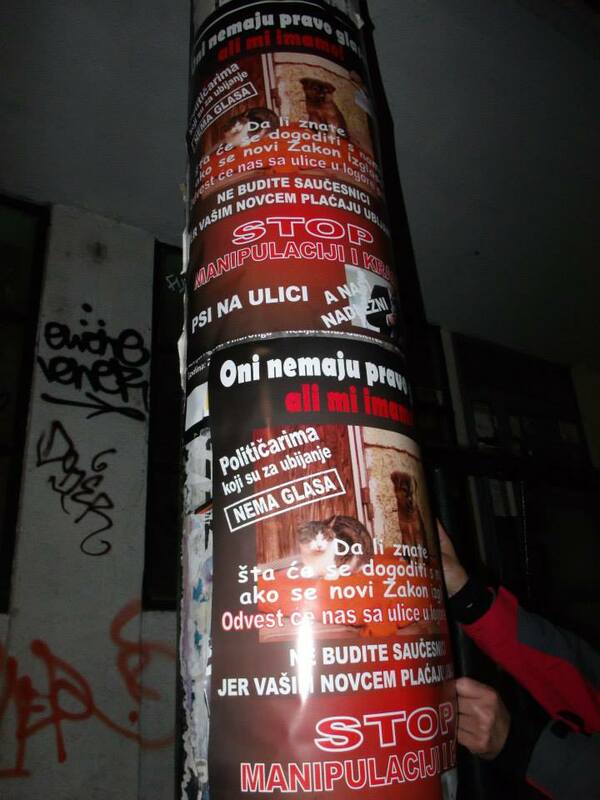 It is common knowledge amongst animal activists in Bosnia Herzegovina that public shelters are used for money laundering. 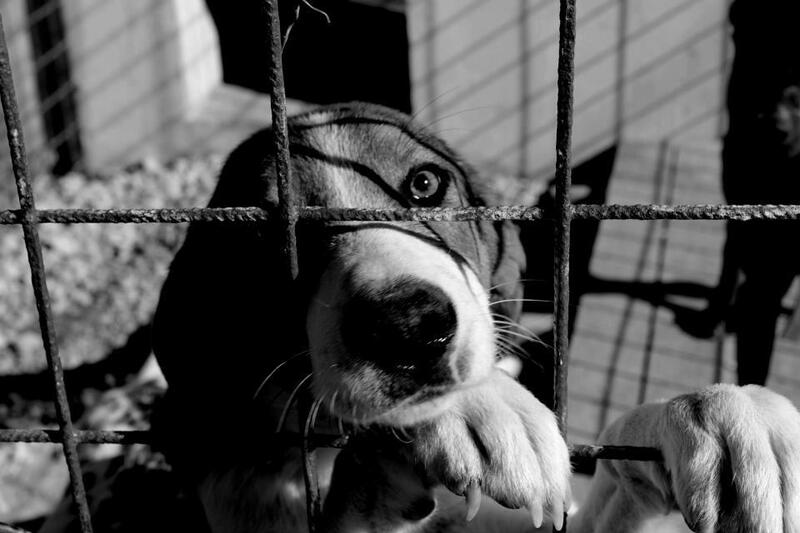 If the proposed changes to the Animal Welfare Law are implemented, it will simply mean it is easier for the “shelters” to continue an influx of dogs, killing them in the cheapest way possible (not humanely) and using the funds elsewhere, not for the dogs; it will mean a continued cover-up of how dogs are actually treated in these shelters and will give the ‘green light’ for generalised abuse of strays in the country. Also, please sign and share the petitions.